The US Army’s Advanced Hypersonic Weapon, ancestor of several current programs. WASHINGTON: The Army plans a “system flight test” for its Land-Based Hypersonic Missile in fiscal 2023, according to recently released budget documents. The service plans to spend $1.18 billion on prototyping through 2024, starting with a $228 million request in 2020. The missile will use the same Common Hypersonic Glide Body as the Air Force and Navy — which are working on variants to be launched from aircraft, ships, and submarines — fitted to a two-stage rocket booster. Hypersonics are a top priority for the US military. Pentagon R&D undersecretary Mike Griffin sees them as essential to counter advanced Russian and Chinese weapons, preferably by spotting and destroying them before they even launch. The budget also funds a complementary system, the Strategic Long-Range Cannon, which would use a gun barrel to launch missiles one thousand miles. Effectively the super gun replaces the first-stage rocket booster, sending the missile on its way, at which point the projectile’s own built-in rocket motor kicks in. SLRC funding is a little harder to figure out, because it’s split among multiple budget activities, but it looks like the Army plans to spend $305 million to refine and prototype the super-gun and related technologies over 2020-2022. I can’t find any funding for the cannon after ’22, but that probably just means the Army’s waiting on initial studies before it commits to further development. Together, the hypersonic missile and the strategic cannon are the longest-ranged, most technologically demanding pieces of the most urgent of the Army’s Big Six modernization priorities: upgrading its long-neglected artillery force for great power war. RAP: Rocket Assisted Projectile (current M549A1 or future XM1113). ERCA: Extended Range Cannon Artillery. GMLRS-ER: Guided Multiple-Launch Rocket System – Extended-Range. ATACMS: Army Tactical Missile System. PRSM: Precision Strike Missile. SOURCE: US Army. SLRC and Hypersonic Missile ranges as reported in Army Times. The two weapons are intended to work together. 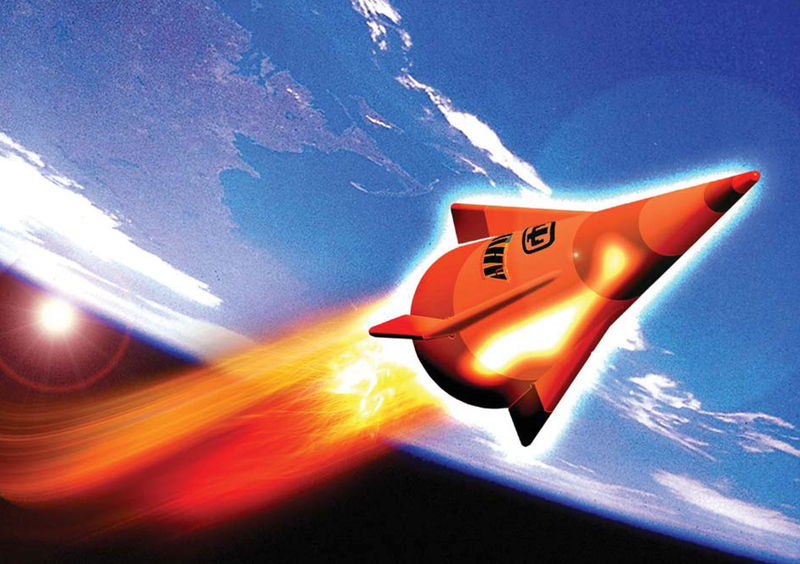 The hypersonic missile will be more expensive, flies faster and hits harder. The long-range cannon projectiles should be less expensive — since you’re launching them with a reusable cannon barrel, not expending a full-size booster rocket with every shot — so the Army can have more of them, but they’ll have less raw speed and kinetic energy. So the hypersonic missiles will be reserved for the hardest and high-priority targets, such as hardened command bunkers, while the cannon will take out more numerous but softer targets, such as mobile anti-aircraft batteries. Between them, the Army’s thinking goes, the two weapons should rip holes in Russian or Chinese layered defenses. Today that’s a mission for jet aircraft. The Air Force in particular is investing in stealthy planes — the F-35A Joint Strike Fighter and the B-21 bomber — to penetrate advanced anti-aircraft defenses unseen. 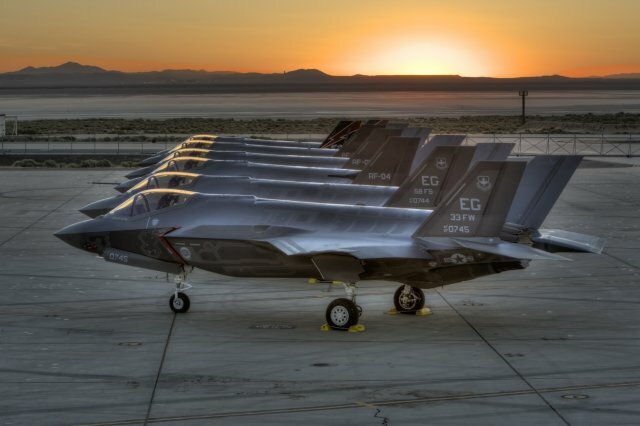 But the relatively short-ranged F-35s will require either airbases or refueling tankers, both much easier targets for the enemy than the stealth fighters themselves, while the long-ranged bomber is still in development and will never be built in the numbers a fighter would be. The Army’s increasingly anxious that it won’t have air support on-call 24-7 in a future war the way it did in Iraq and Afghanistan. That’s why it’s investing heavily in artillery from upgraded howitzers to all-new hypersonics, collectively known as Long Range Precision Fires, the service’s No. 1 modernization priority. In the nightmare scenario where the enemy figures out how to target our stealth aircraft — something Russia and China are working hard to do — land-based Army missile launchers and cannon, dispersed and camouflaged against enemy strikes, may be the only long-range firepower the US has left. Even in less extreme situations, the land-based weapons could provide a useful supplement to airpower, working together as part of the emerging Multi-Domain Operations concept for coordinated action by all services on land, sea, air, space, and cyberspace. Airplanes can be more responsive, since they can circle over a suspected target and drop a smart bomb as soon as they spot something. But land-based launchers can provide large salvos around the clock without having to go back to base to refuel and rearm — indeed, without needing a vulnerable airbase at all. LRPF: Long-Range Precision Fires. NGCV: Next-Generation Combat Vehicle. FVL: Future Vertical Lift. AMD: Air & Missile Defense. SL: Soldier Lethality. SOURCE: US Army. This is all R&D money, not procurement. Specifically, most of the funding for the hypersonic missile and strategic cannon are in Budget Activity 4, “advanced component development and prototypes,” with some cannon funding in BA 3, “advanced technology development.” (The Pentagon recognizes seven stages of Research, Development, Test, & Evaluation before procurement proper begins). One confusing factor is that strategic cannon funding not only shows up in two places, but in one of those it’s bundled with other shorter-range artillery. It’s also always possible we missed something in the masses of budget documents, in which case we’ll update and correct this story. $20 million of the 2020 money is administrative overhead for the Army; the other $208 million will go to contractors. Note the spike in spending in ’20, to get the program started, and another spike in ’23, when the Army plans to do flight testing. Note that funding started back in 2018, although back then the strategic cannon was just a sub-item among many for something called the Advanced Lethality & Survivability Demonstration. 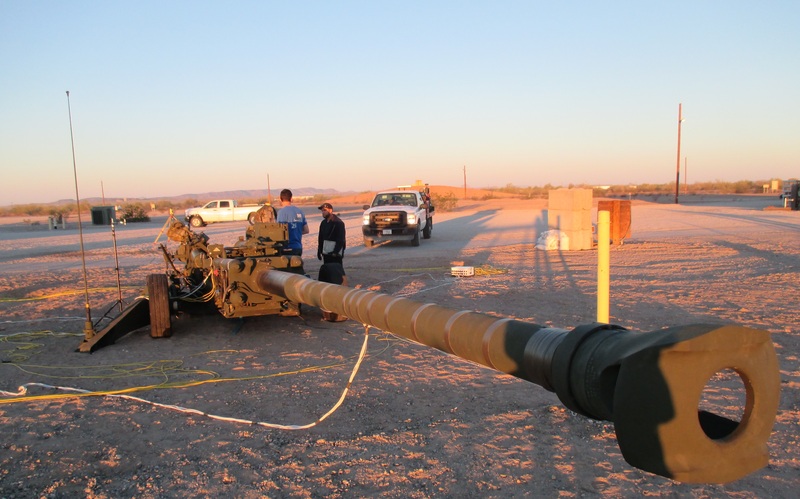 Only this year does the cannon break out as its own budget item, which is why the Army’s counting it as a new start rather than a continuation of an existing program. An Army M777 howitzer modified with an extra-long barrel for an Extended Range Cannon Artillery (ERCA) test. Most of the 2020 money is definitely for the cannon itself, but $16 million is actually for sub-items listed as Extended Range Cannon Artillery — specifically automatic loaders and projectiles — and an experiment with shoulder-fired Stinger missiles. ERCA is an upgrade to existing howitzers, which will still be much shorter-ranged than the strategic cannon, but it’s entirely possible some of these technologies can be transferred, especially since the Army describes the strategic cannon as scaling up proven artillery technology. The Stingers are more puzzling, since they are aren’t offensive weapons (Army Priority No. 1, Long-Range Precision Fires) but defensive (Priority No. 4, Air & Missile Defense); the connection could be that the Stingers are a last-resort weapon for artillery crewmen defending their batteries from air attack, but that’s speculation. We’ll work to get more clarity on the cannon. As a purely Army initiative, the cannon is going to be lower-profile than hypersonics, which are a Pentagon-wide priority. That also means the cannon’s more likely to fall by the budgetary wayside if something goes wrong. But there’s tremendous military potential in a cheaper way to launch massive salvos of missiles in a major war.